Movies are a great way to escape reality and live vicariously through all of your favorite actors. If you dream of days on the racetrack and going at speeds that shouldn’t even be possible, then these are the movies you need to be watching. This brand-new movie (released on September 27, 2013) is one of the few racing movies that is actually based on a true story. It follows English ladies man James Hunt (played by Chris Hemsworth) and a perfectionist from Austria, Niki Lauda (portrayed by Daniel Bruhl), as they put their psychological and physical endurance to the test both on and off the racetrack. Your adrenaline will be pumping as you watch this epic tale, where even the slightest mistake can result in death. Hey, even kids have dreams of being racecar drivers, so it is important that a children’s movie is included in this list. 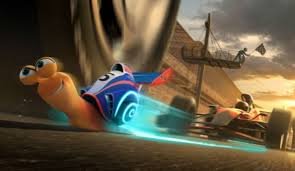 Turbo was just released on July of this year, and uses the voice talents of many A-list stars, including Ryan Reynolds and Paul Giamatti. The plot is simple, yet the story is inspiring. A snail has dreams of becoming the world’s greatest racecar driver, and when a freak accident leaves him with super speed, he takes every advantage of it. You have a drama and a kid’s movie, so now you need a comedy. Talladega Nights: The Ballad of Ricky Bobby was released in August of 2006, and follows fictional racing legend, Ricky Bobby, from the top of his game to his own version of failure. This flick will have you laughing as you are motivated by Ricky Bobby’s drive (pun intended) to make his way back to the top spot in the racing world. This may be an oldie, but it’s still a goodie. Released on June 27, 1990, this feel-good racing movie stars Tom Cruise and Nicole Kidman. It is your basic tale of an egotistical rookie that meets a know-everything veteran on the NASCAR racetrack. But when they both get injured, something surprising happens and a unique friendship is formed. This movie has a little of everything (amazing races, a little bit of romance, and some feel-good drama), making it a must-see among racecar movies, even if the special effects are a little behind the times.